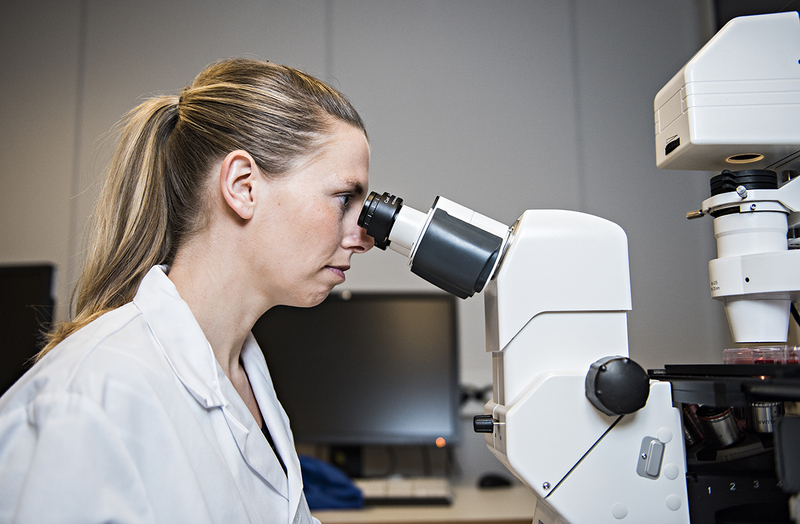 Stress slows wound healing in fish, according to doctoral work done by Lene Sveen at Nofima. Sveen defends her thesis 30 November 2018 at University of Bergen. She has researched the impact of stress on fish’s ability to heal and to produce mucus. These are important capabilities in both open pens and closed containment aquaculture systems. She has induced stress by catching the fish, and by varying fish density and size of the fish in the pens. Sveen used many different techniques to analyze wound healing in stressed and unstressed fish, including microarray. The main gene class that was affected by stress was the immune genes. Their job is to protect open wounds and remove damaged tissue. Many genes involved in wound repair also had a delayed response under stress, causing wounds to close more slowly in stressed fish. “When a fish is stressed, its immune response changes. Not only do wounds heal more slowly – the fish will also be less able to resist disease,” says Sveen. “We also found out that when a fish becomes acutely stressed, it loses its protective mucus coating. And it takes more than a day for it to return,” says Sveen. This is bad news for the fish, as the mucous coating protects the fish against diseases. “Closed containment aquaculture systems are evolving rapidly, and I can’t wait to see what the fish farming industry’s equivalent to the iPad will be,” says Sveen. Title of thesis: «Aquaculture relevant stressors and their impacts on skin and wound healing in post-smolt Atlantic salmon (salmo salar L.)». Supervisors: Sigurd Stefansson, Sigurd Handeland, Lars Ebbesson, Harald Takle, Elisabeth Ytteborg and Tom Ole Nilsen. First presented in the CtrlAQUA annual report 2017.